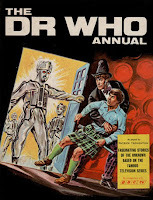 As the year opens, the Doctor, Jamie and Victoria are part-way through 'The Enemy of the World', a story which just for a change features no alien monsters. Instead we have a villain - one Ramon Salamander - who wants to control the world under the pretext of helping it. It also happens that Salamander looks just like the Doctor, putting the Doctor in the unenviable position of having to impersonate Salamander in order to stop his evil plans. 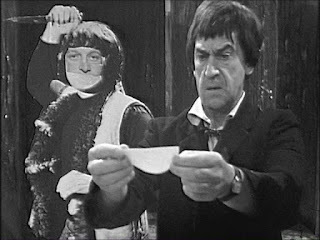 Unlike 'The Massacre' which also featured a evil double of the Doctor, we do get to see a confrontation between the Doctor and his double. Sadly it's all too brief. 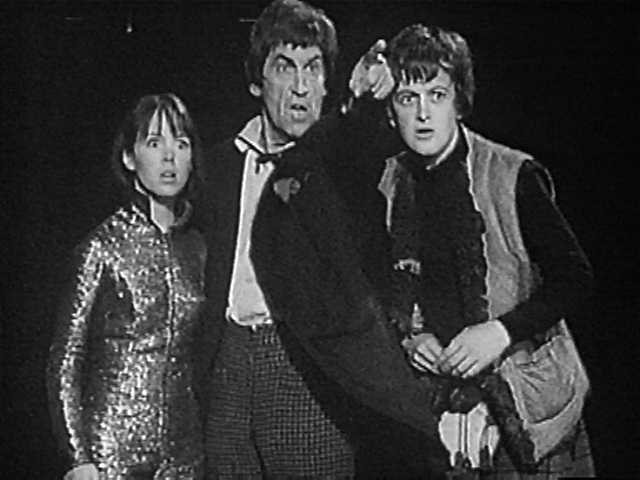 At the conclusion of the story, Salamander in a desperate attempt to escape defeat tries to impersonate the Doctor and escape in the TARDIS but, due to a slight error on his part, he ends up being sucked into the time vortex instead. The climax of 'Enemy of the World leads directly into the next story, 'The Web of Fear'. This story is sign of things to come. 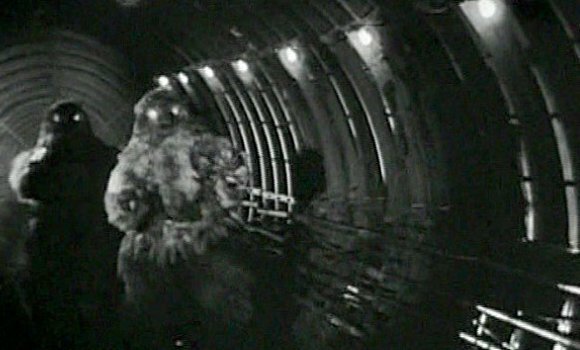 Set on more-or-less present day Earth, the Doctor finds himself in a re-match with the Great Intelligence and the Yeti who have covered London in a killer 'web' and taken control of the London Underground. The Doctor ends up working with the Army to defeat the Intelligence. 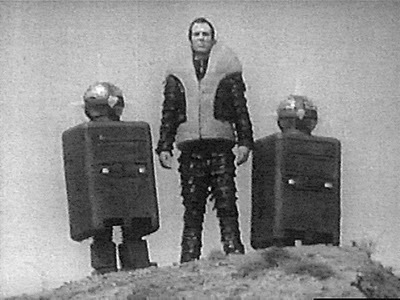 In a year or two this sort of story will become quite commonplace but here it's something that we've only really seen once before, in 'The War Machines' so it's interesting to see the Doctor working with the authorities. This story is also particularly significant for both the return of Professor Travers (now several decades older than in his last appearance in 1930s Tibet) as well as the first appearance of one Colonel (soon to be Brigadier) Lethbridge Stewart. At this stage of course no one knew just how important a character Lethbridge Stewart was to become. So, while it might seem a little odd to fans now that we never actually get to see the first meeting between these two characters (it all being done off-screen), it probably seemed like a perfectly good idea to the production team at the time. The Colonel was, after all, just another guest character at the time. The series stay on more-or-less contemporary Earth for the next story, 'Fury from the Deep'. Sadly, like far too much of the Troughton era, no complete episodes of this story survive in the BBC archives, just a few clips. This is particularly unfortunate in the case of this story as the few clips I have seen seem to indicate that it had some particularly chilling visuals. There's also a lot of action including hijinks with helicopters and sequences of living seaweed and foam bursting in on people. It's also the story where Victoria chooses to leave the TARDIS and remain on Earth. Although her decision to leave does seem to come a bit out of the blue, it's still handled well and there's genuine emotion in those final scenes where Victoria says her goodbyes. Victoria may be gone but the Doctor and Jamie journey onwards, this time to the future and 'The Wheel in Space' The Wheel is an Earth space station and in typical base-under-siege style is under attack from the Cybermen. The Wheel is also where the Doctor and Jamie meet Zoe Heriot, a exceptionally intelligent young woman who isn't afraid to let people know it. You would think that someone with her intelligence would think twice before stowing away on the TARDIS but this is what she ends up doing at the end of the story. By way of demonstrating to Zoe the sort of dangers she's letting herself in for, the Doctor decides to show her one of his old adventures. Thus the story and the season end with Zoe watching 'Evil of the Daleks' on the TARDIS scanner. This would lead into a repeat screening of 'Evil of the Daleks' on BBC 1 for the next seven weeks so that viewers, like Zoe, could see what she getting into. 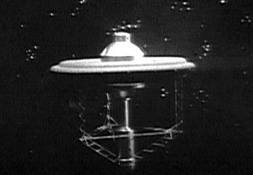 This was the first, and indeed only, time that a repeat was actually worked into fiction of the TV series. With the 'Evil of the Daleks' repeat over, the series returns for Season 6 and 'The Dominators' which sees the TARDIS land on the planet Dulkis, with emphasis on the 'dull'. If Zoe was expecting to see the likes of Daleks on her first trip then she was probably disappointed with what she got here. Dulkis is a planet of pacifists who have to be stirred into action by the Doctor when their world is invaded by the aforementioned Dominators and their robot slaves, the Quarks. At the time the Quarks were thought by some to be the next big thing in Doctor Who monsters. Sadly, their overall appearance means that this will never be the case. Granted, their child-like voices are slightly disturbing but their clumsy, box-like appearance is just laughable. The, sadly, unmemorable story doesn't help them either. A volcanic explosion at the conclusion of 'The Dominators' leads into the next story 'The Mind Robber' which must qualify as possibly the strangest story ever. The TARDIS is taken outside of time and space and into what is essentially a fantasy world where pretty much anything goes. It's controlled by the Master (of the Land of Fiction, as opposed to that other Master) and the Doctor Jamie and Zoe meet various fictional characters (such as Gulliver) while trying to avoid become fictional characters themselves. It's the sort of story that you'd more usually expect to find in the TV Comic strip but, against all odds this story actually seems to work. The story's fantastical nature also allows the production team to get away with things that they couldn't normally do like blowing up the TARDIS or re-casting one of the companions for an episode. The re-casting came about when Frazer Hines caught chicken pox and wasn't able to record episode 2. Rather than write Jamie out they simply re-cast him for the week and wrote the change in appearance into the story. Hines was better by episode 3 and so he was changed back to normal. It's back down to Earth in ever respect for the next story in the series, 'The Invasion'. At the time this story was being produced, the production team were already thinking about the next season and what format it would take. The template for that next season can be seen here and builds on the groundwork established in 'The Web of Fear'. 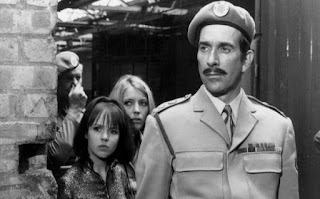 Brigadier Lethbridge Stewart is back, this time in charge of UNIT (the United Nations Intelligence Taskforce), the military group set up in the wake of the Yeti invasion to deal with alien incursions. So the Doctor finds himself working once again with the military, this time to take on the Cybermen who are the ones behind this particular invasion. That said, the Cybermen (who have another new look) don't really appear that much. They first appear at the half-way point of this 8-episode story and appear sporadically throughout the rest of the story. 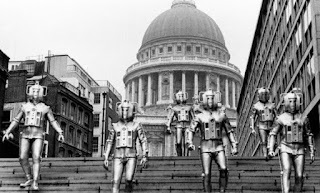 Their big moment comes when the invasion proper gets under way and they burst from the sewers of London and stalk down the steps of St Paul's Cathedral. For the most part it's Tobias Vaughan, the Cybermen's human front man who is left to play lead villain to the Doctor. 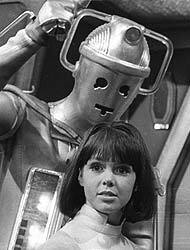 And, frankly, he's so good that you barely notice that they Cybermen haven't actually done anything much. The year comes to an end with Episode 1 of 'The Krotons', in which Zoe ends up being too clever for her own good... More next time. Just one audio release this year but it's an interesting one. Jamie actor Frazer Hines - or more likely his agent - felts that he should capitalise on his popularity and enter the music scene. The result was this rather enjoyable song. Sadly it didn't sell very well and Hines's career as a pop icon ended rather soon after it began. But we'll always have 'Who's Doctor Who?' to remind us of what could have been. Another year with little available book wise. In fact the only book released was the latest Annual, with it's usual mix of short stories and comic strips. There were changes afoot for the comic strip in 1968. John and Gillian, the Doctor's ever present grandchildren left the strip in August after almost 5 years travelling with the Doctor, making them two of the longest serving companions in any medium. The method of their departure is actually better than that afforded to certain TV companions. 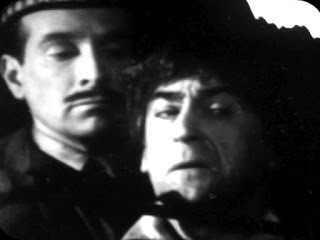 After receiving a warning from a fortune teller that he will be facing the Quarks, the Doctor decides that it's far too dangerous to allow his grandchildren to continue travelling with him. He therefore enrolls in university on the planet Zebadee and takes off never to see them again. Laughable as it is that the Doctor is terrified of allowing his grandchildren to meet the Quarks (as opposed to, say, the Daleks or Cybermen) it is nice that TV Comic made an effort to give John and Gillian a decent send-off. Of course, the departure of John and Gillian leave a vacancy and so the Doctor travels to Scotland to meet up with Jamie who becomes the new comic strip companion. This is particularly noteworthy as Jamie is the first companion from the TV series to appear in the comic strip. As you may have gathered, the Quarks were the latest TV monsters to appear in the comic strip. Indeed they actually made their comic strip debut at the same time as they appeared on TV. Unlike their TV counterparts though, the Quarks in the comic strip were not robotic servants of the Dominators but instead operated independently. 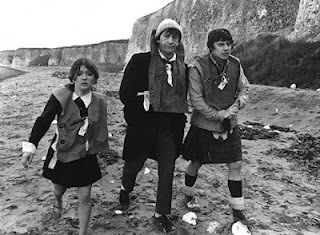 Basically they were just like the Daleks and Cybermen in the strip before them and they quickly became the lead villains in the strip,appearing several times during the year to face the Doctor and Jamie. There's one other thing to note with regards to the comic strip and that is the Doctor becoming a bit of a celebrity on Earth. At one point in the strip towards the end of the year, the Doctor goes on television to address the rest of the world. This is something that will be followed up on in the strip in 1969.